Concentrated Hydrochloric Acid, 32oz for sale. Buy from The Science Company. Concentrated hydrochloric acid (36.5-38%) is a colorless to yellowish pungent liquid. Hydrochloric acid is historically called muriatic acid. It is highly corrosive but noncombustible. Soluble in water, alcohol, and benzene. It is a strong irritant to eye and skin and fumes are harmfull if inhaled. Hydrochloric acid is commonly used to make aqua regia, typically 1 part Nitric acid to 3 parts Hydrochloric acid. 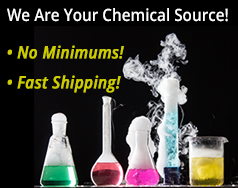 This 32 ounce size Concentrated Hydrochloric Acid only ships to destinations within the 48 contiguous US states and Canada using Standard Ground by FedEx or UPS • No air deliveries allowed • Customers in Canada should expect additional duties, taxes, and customs clearance service fees due upon delivery. 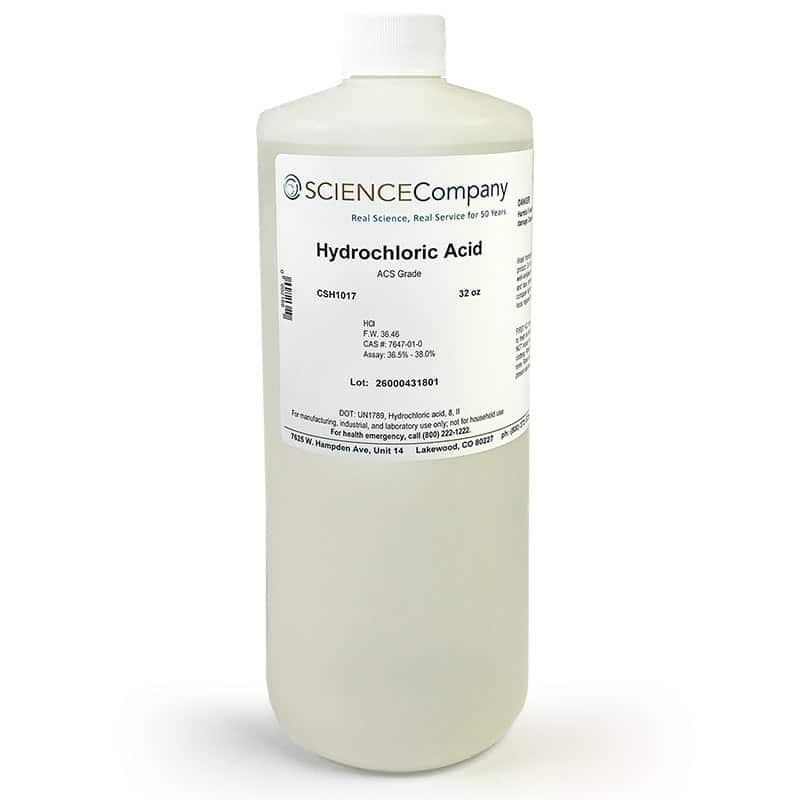 Hydrochloric Acid, 10% solution, 16 oz. 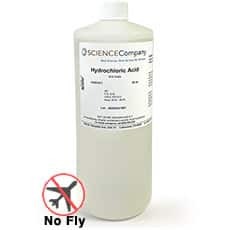 Hydrochloric Acid, 10% solution, 8 oz.